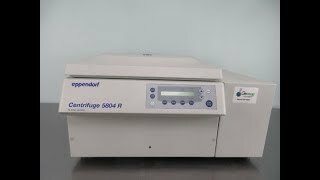 This Eppendorf 5804R Refrigerated Centrifuge has been fully inpsected and is operating without issue. All of our lab equipment comes backed with our standard warranty. Should you have any questions abou this or any of our refrigerated centrifuges, please don't hesitate to contact us.